Some of the world's most beautiful sounds come from wood instruments. Wood is a natural material with acoustic qualities that shine. That's why the E-MU Teak's design philosophy encompasses this natural beauty that will reveal all the beautiful details your audio has to offer. The wooden enclosures are fashioned from rare teak, which makes the headphones tough and durable. 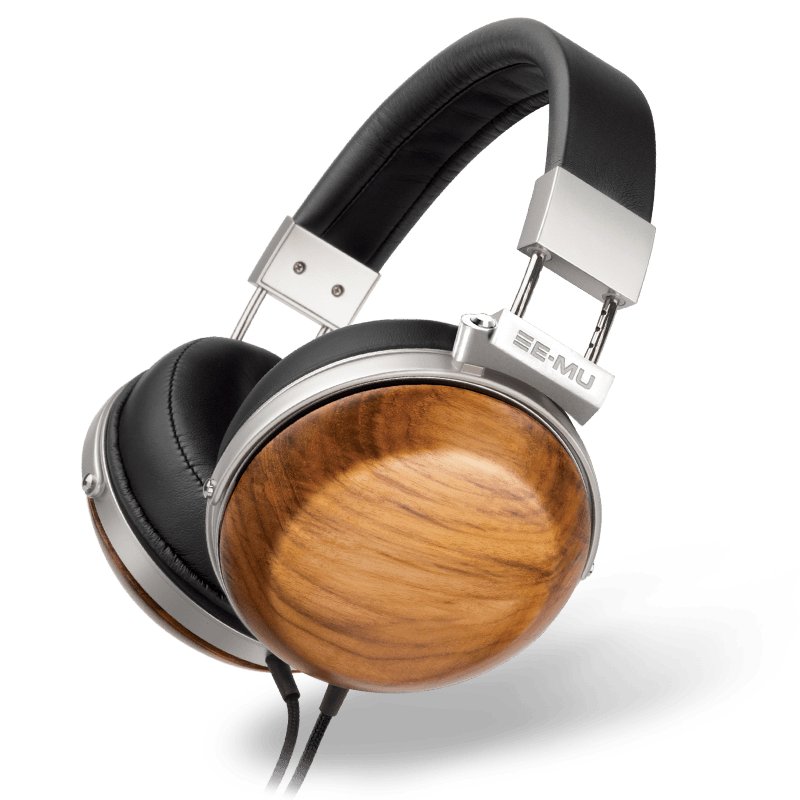 The wood grain is unique like our fingerprints, making each pair of E-MU Teak headphones one of a kind. The E-MU Teak sports a lightweight frame with an adjustable headband that adapts to your head for the perfect fit. The plush protein leather gives your ears a nice cushion for comfort. So the full-sized circumaural earcups fit your ears with the right pressure while you get the best natural sound and to prevent sound leakage. 50mm neodymium drivers with ultra-thin bio-cellulose diaphragms give you uncompromised clarity. Superior 7N Oxygen-Free Copper (OFC) cables wrapped in nylon braiding with gold-plated connectors reduce distortions for your listening pleasure. The cables are also removable. The E-MU Teak brings resplendent sound performance with a natural soundstage. Copyright © 2019 E-MU Systems Pte. Ltd.